An indefinite fishing exemption granted to line fishermen was welcomed by the Democratic Alliance on Thursday. 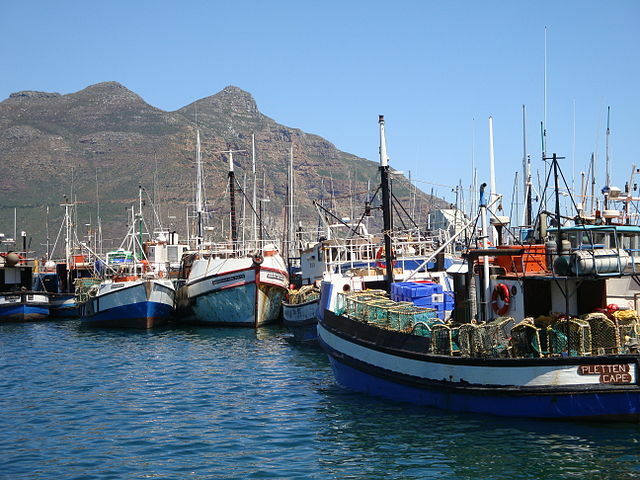 DA fisheries spokesman and MP Pieter van Dalen said the “apparent bungling” of the fisheries department’s rights allocation process for 2013 had left thousands of previous rights holders unable to provide for their families. On Thursday, Western Cape High Court Judge Daniel Dlodlo extended the two-month exemption granted by the same court in February until there had been a full legal review of the 2013 linefish rights allocation process. The SA Commercial Linefish Association (SACLA) approached the court after only 115 previous rights holders were included among 215 new line fishing rights allocated last year. In the previous allocation period, 450 rights were granted. SACLA’s application is against all 215 fishermen, Fisheries Minister Tina Joemat-Pettersson and her former acting deputy director general Desmond Stevens. The SACLA seeks to have the department’s decision reviewed on the grounds that it failed to distinguish between new and existing applicants, did not give sufficient reasons, conducted the process unfairly, and lacked authority. It also objected to the publication of a revised general policy and a sector specific policy on the basis that there was no public consultation and that Joemat-Pettersson lacked the constitutional authority to publish the policies. It seeks to have these policies reviewed and set aside. Dlodlo also granted a non-profit trust representing small-scale fishing communities a chance on June 12 to argue why they should be added as an intervening party in the main application. In an affidavit submitted to the court, Masifundise Development Trust director Mogamad Naseegh Jaffer said the outcome of the main application would have a potential knock-on effect for small-scale fishers. Jaffer said the trust wished to be added as a respondent because the main application could delay or derail the implementation of the small-scale fishing policy. Van Dalen said the DA believed fishing quotas should be allocated to individuals to avoid fronting and abuse. “However, should a fishing community wish to have quotas amalgamated into a co-operative, this should also be recognised,” he said. He said small-scale fishing quotas should be allocated on a long-term to encourage “ownership” of fishing stocks and reduce uncertainty. Parallel to proceedings in court, Joemat-Pettersson extended the appeals process for allocations until the end of this month and appointed an independent law firm to advise her on the process. She said the firm would undertake an urgent independent audit of the rights allocation process to ensure it complied with all relevant policies and legislation.